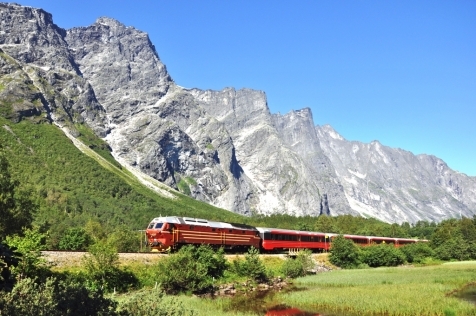 Norway has some of the most celebrated rail journeys in the world. 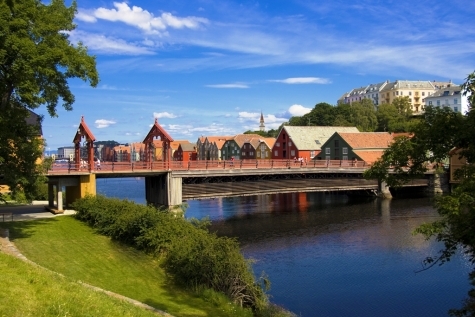 This independent trip enables you to travel on four routes,The Bergensbanen running between Bergen and Oslo across the Hardangervidda mountain plateau, the Flåm Railway (one of the world’s steepest railways) and finally, the Dovre & Rauma Railway lines, less well known but just as dramatic. We have added an overnight on board another Norwegian treasure, Hurtigruten, whose vessels have connected coastal communities for over 140 years. This is a trip where the journey is an adventure. Fly into Bergen and self-transfer to the Thon Hotel Rosenkrantz for 2 nights. Day at leisure to explore this vibrant and colourful Hanseatic town. 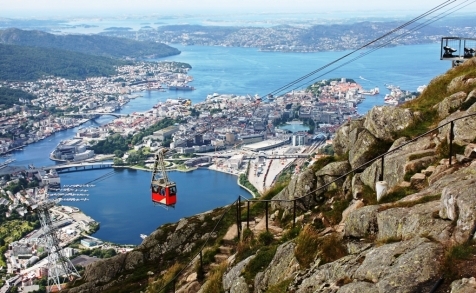 Take the funicular ‘Fløibanen’ to for fantastic views over Bergen. Today you will embark on a tour that showcases the best of this scenic region as well as two of the most notable train journeys. Depart from Bergen by taking the train to Voss. Continue by bus to Gudvangen via the spectacular 13 hairpin bends of Stalheimsleiva. At Gudvangen a fjord cruise takes you across the Aurland & Naerøyfjords to Flåm where you board the Flåm Railway. This 20km line is an engineering feat as well as one of the most picturesque journeys in the world. On reaching Myrdal you will change trains to the Bergen Line – travelling across one of Europe’s highest mountain plateaus then gradually descending into Oslo. through rolling hills and lush and fertile farmland. Self transfer to the Clarion Collection Hotel Bastion for 2 nights. Today is at leisure and free for you to enjoy cosmopolitan Oslo. 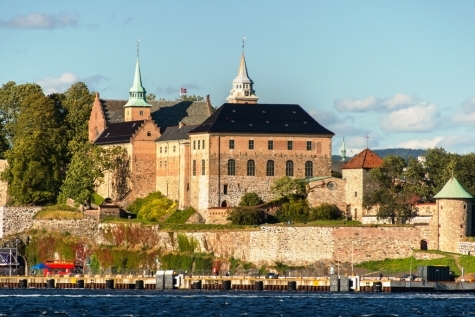 Stroll along the rejuvenated waterfront, visit the architecturally renowned Opera House or immerse yourself in Norwegian history and culture at one of the many museums. Today you will travel on the Dovre and Rauma Railways. Departing Oslo Central, the Dovre Railway initially winds its way through rolling hills and lush farmlands, to the mountain station of Dombås, where you change for the Rauma Railway. Here you will pass by Trollveggen a 3500m high vertical granite wall of rock, travel over Kylling Bridge, possibly the most photographed bridge in Norway and through the horseshoe tunnel of Stavern, arriving at the picturesque town of Andalsnes. Overnight at the Hotel Aak. 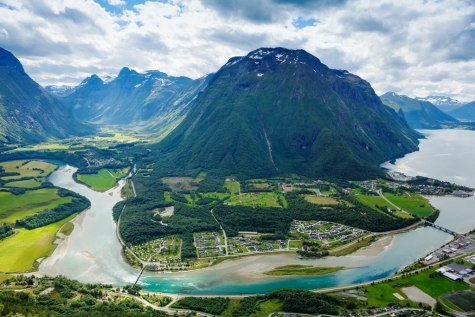 The return journey to Dombås along the Rauma Railway offers another opportunity to soak up the stunning landscape before continuing across Dovrefjell National Park to Trondheim for 2 nights at the Clarion Collection Hotel Bakeriet. Today is at leisure. Nidaros Cathedral along with the Trøndelag Folk Museum are just two of the many attractions to enjoy in this 1000 year old city. This morning board your Hurtigruten ship and sail along the coast towards Bergen. Long summer days means that you will have panoramic views the whole way including the 222 partially snowclad mountain peaks at Molde. Lunch and dinner included. Overnight on board your ship. The ship continues its journey arriving in Bergen just after lunch and with plenty of time for your return flight back home.